A lot of contractors, whether self-employed or working for a larger company, depend on good lumber racks for their trucks. For some, their truck is completely useless without it. But the newer Toyota Tacoma, if that happens to be your truck of choice, has a unique bed that really isn't designed for the use of a lumber rack. What is it about a 2005 to current year Tacoma that is so unique? The entire bed, believe it or not, is plastic. Think of the bed on these trucks as being like a really thick bed liner. The whole bed is actually a plastic/composite insert. So for obvious reasons you can't install just any rack on these trucks. This poses a dilemma to anyone who buys one of these trucks and plans to use it for contracting work. Simply bolting any rack to the bed will not work, I repeat, DO NOT just bolt a rack to the bed of these trucks. You're just waiting for an accident to happen and then the inevitable lawsuit. But what do you do if you bought a Tacoma that you want to use for both work and recreation? Well, there is hope. Although when the new Tacoma first hit the market, there was nothing available, a couple of manufacturers have actually designed specific racks for these trucks. Just to remind anyone reading this, I used to sell truck accessories. So I remember new Tacoma owners being very upset to find out racks were not only not available, but as it seemed initially, might not ever become available given the unique nature of the bed. Fortunately, Toyota trucks are very popular, so taking on the design challenge for a good rack was worth it for manufacturers. This is a stack of Rack-it brand standard lumber racks. 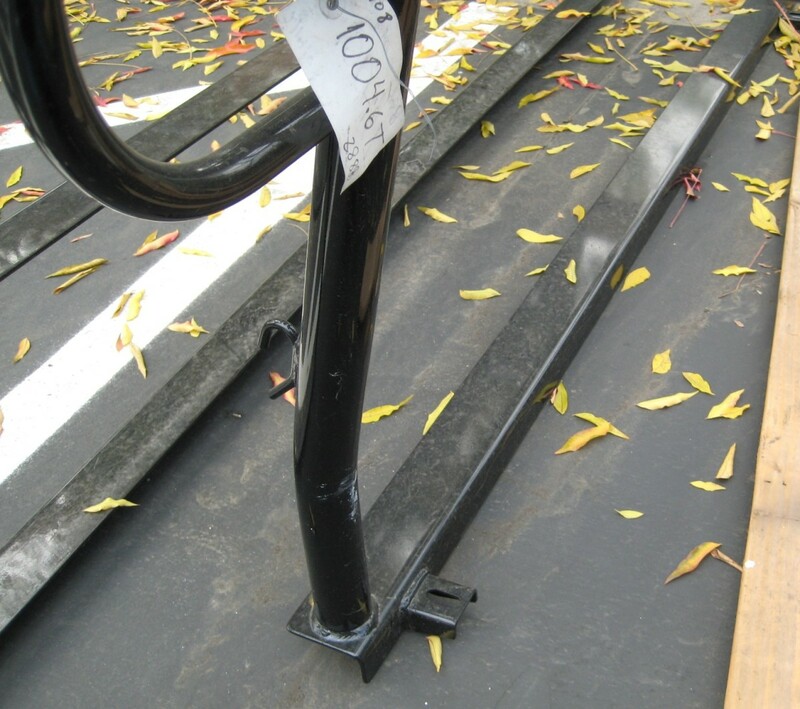 They are one-piece welded racks with a removable rear bar. 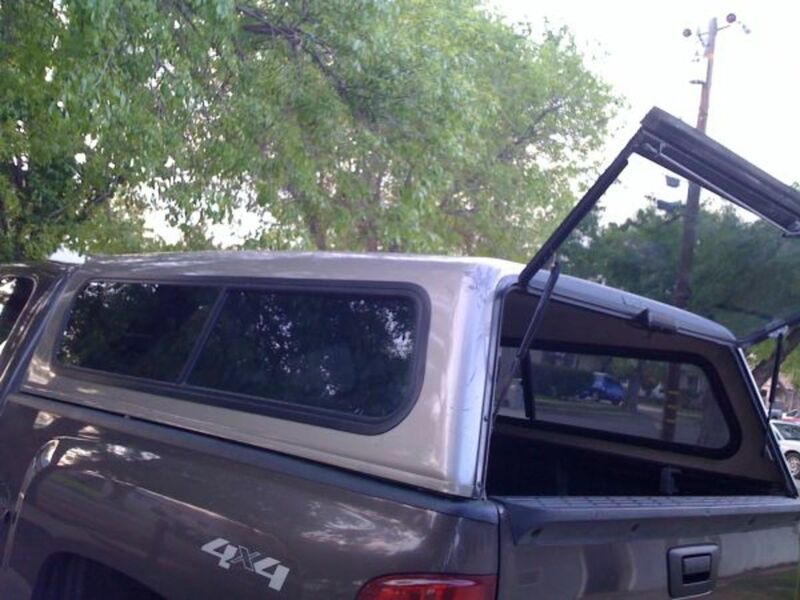 A new square Rack-It on a Tacoma. Rack-It racks are all one-piece welded series 40 steel, supposedly black-powder coated—though I have never believed these racks are truly powder-coated because the finish seems to chip too easily. 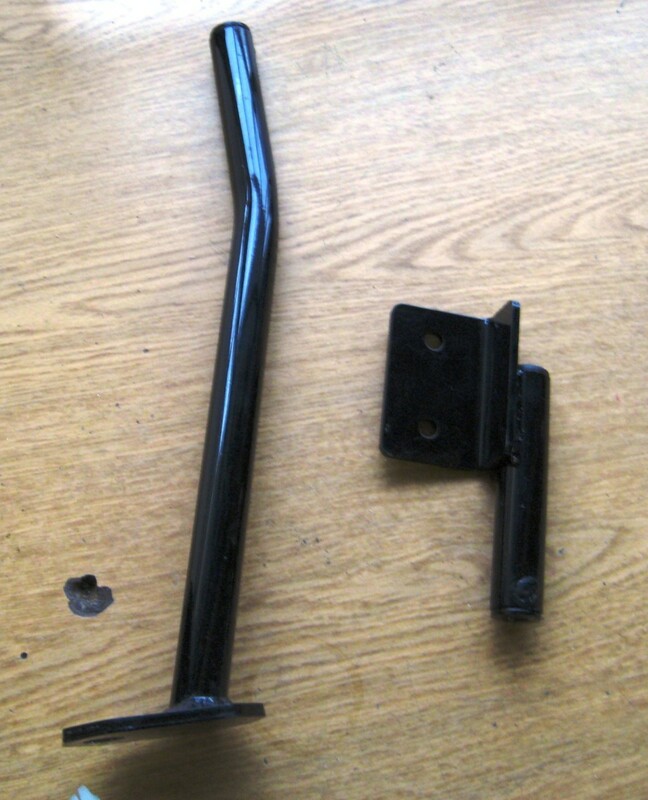 What they did different in their design was to make small bracket-like extrusions on the side rails where a long arm bolts on that then extends down to the bottom of the bed where the actual body bolt is removed and used as the central mounting point. (See pictures.) This allows the rack to use the support of the frame; can't go wrong there. 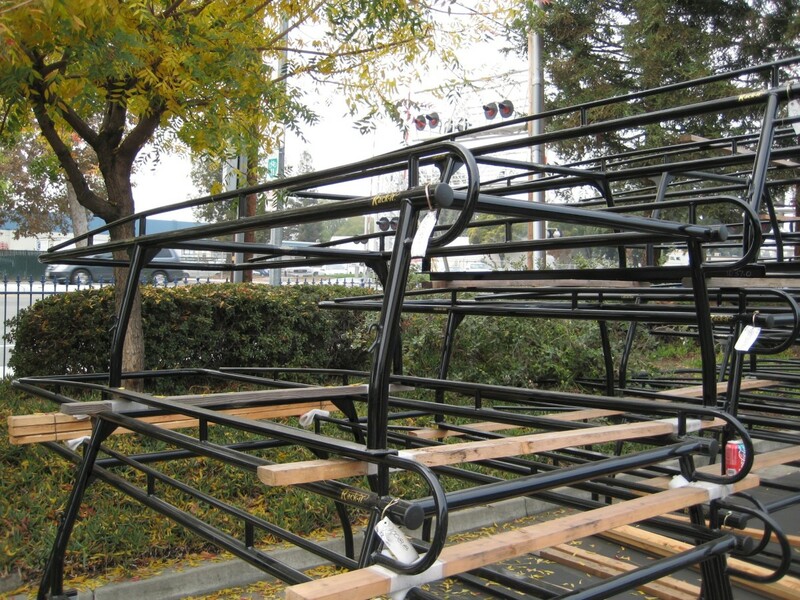 Normally racks are simply bolted to the bed rails. This is done at two points in the front of the bed, one on each side. Toward the rear, they use a similar technique, but actually use the only metal in the bed, which are two pillars that you will notice behind the rear taillights. Though most of the bed is plastic, some is not. To mount this part of the rack, you will have to pop the taillight housings out. Don't worry, it's not nearly as complicated as it sounds. The end result is a very sturdy rack that will allow full use of the truck's load capacity. Rack-It racks are also one of the few racks specific to these trucks that extend out over the cab (even for the double cabs, but they cost more). The standard Rack-It racks (called the 1000 series) for Tacomas cost about $650. Though I'm not sure, I don't think they make a forklift loadable rack. And I do know that they don't make a camper shell rack, which is a rack that would allow for a shell to be installed on the bed, as it literally wraps around the shell. The other thing to remember about these special racks is they generally don't interfere with tool boxes. Because that arm in the front is angled (see the pictures), a low-profile toolbox should be able to mount without the arm being in the way. I know that Weatherguard makes a box that will fit, and there is a Dee Zee brand box as well. If your accessory dealer says no box will fit, just ask to actually set a box in the bed. They may be surprised that they do in fact fit. If your local dealer does not have these racks available, I know Rack-it will ship a bolt-together version of the rack. It's not the same as the welded version obviously, but you can still get one. I apologize for readers on the east coast, since I have never lived there and do not know if there are some good local brands that are only available there. 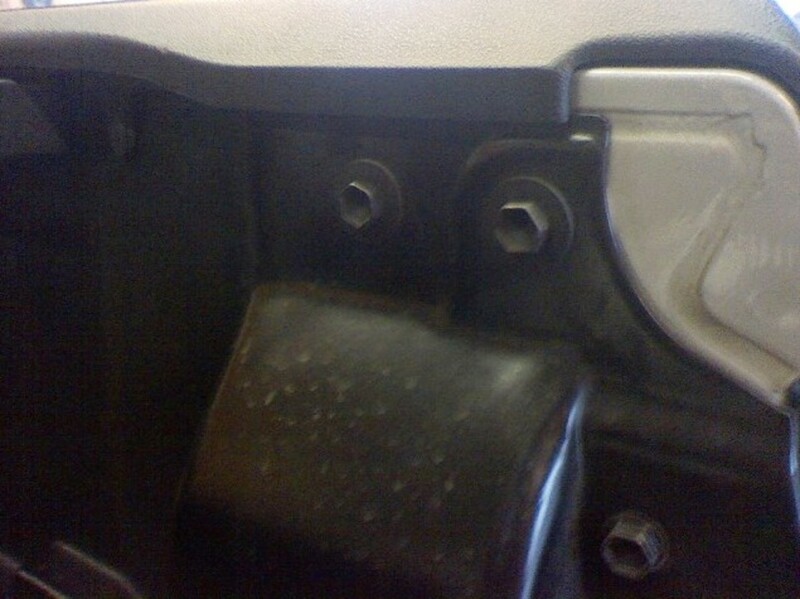 I would love to hear about more, since in the truck accessory business there tends to be some really great products that most people never know about because they aren't available everywhere. 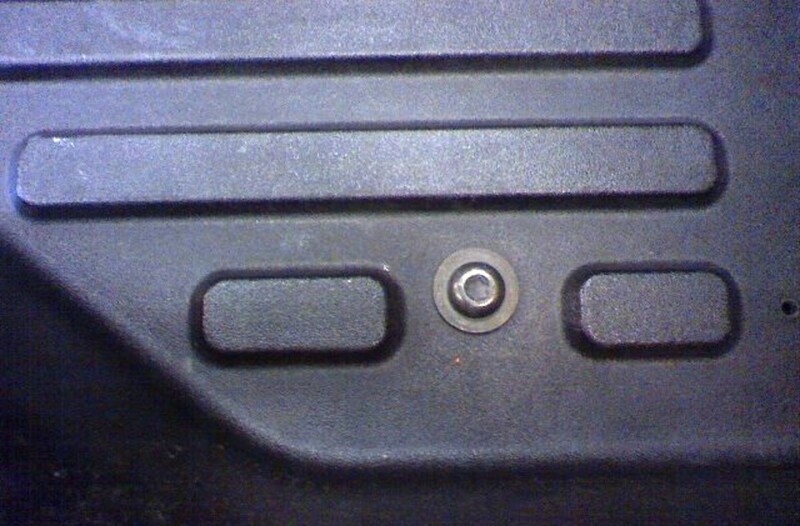 The long arm on the right bolts down on the bed once the body bolt is removed. The other bracket is used toward the rear of the bed. This is the rear of the rack, notice the extruded part where most of these racks are normally just straight angle iron. 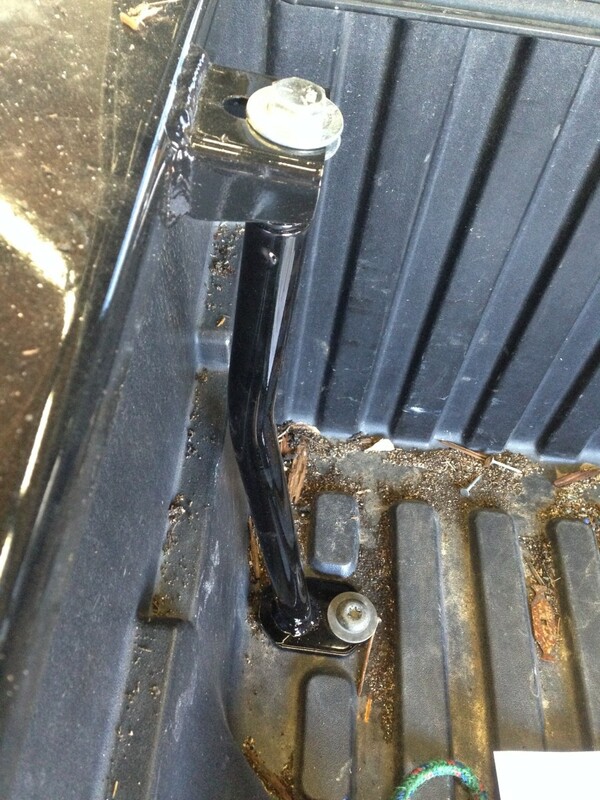 This is the body bolt in the bed toward the front that has to be removed. This is the back of the bed where the other bracket is mounted. You'll notice that this is the only part of the bed that is actually sheet metal. Here you can see how that long arm connects the rack and the bed, it's actually more secure than most racks. 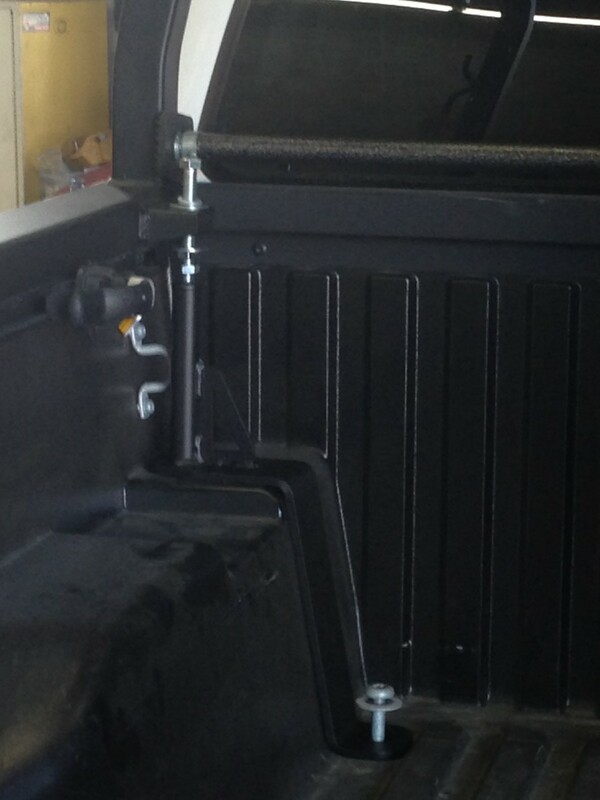 Here is the front leg on a crew cab that has the shorter bed. The reason for the bend is because the wheel well is closer to the front wall—you can still mount a tool box with this. 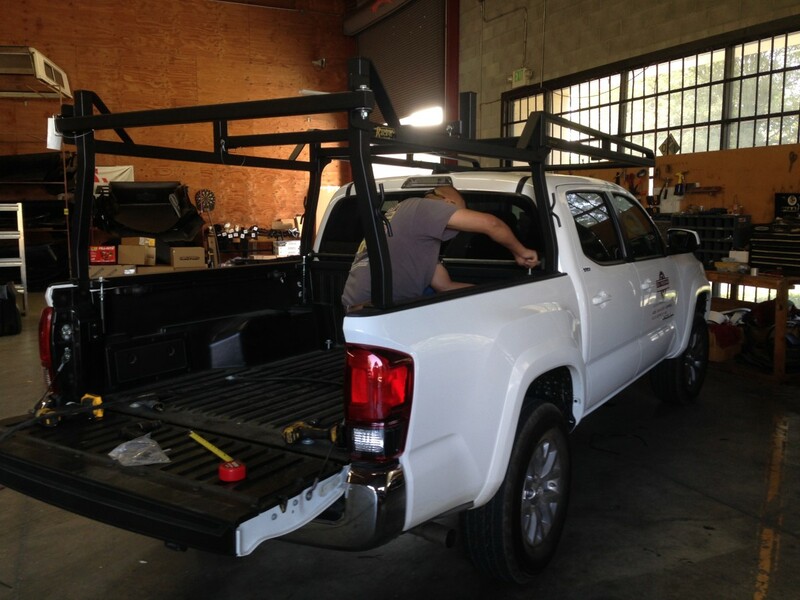 Here are a few other lumber rack options you can consider for your Tacoma. I know these racks are typically for recreational use, but that doesn't mean they can't be used for carrying light loads of lumber or ladders. There are two basic versions. I believe both are made out of aluminum, so they won't rust. 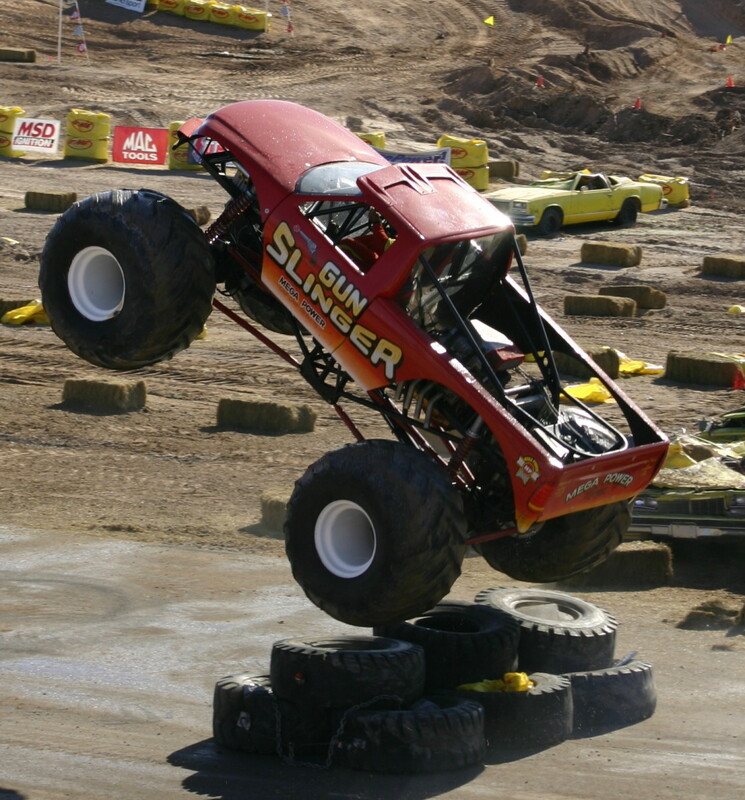 One is called the Xsporter and you will need a special adapter kit for the Tacoma (2005-08). This rack clamps on, and the height can be adjusted. There is no extension out over the cab, and they can only hold about 450 lbs. The other rack they offer looks very similar. It is called the Professional Version and requires the same adapter kit. But it is not adjustable and it can carry about 700 lbs. Either one of these racks will cost almost $600, but they should be available just about anywhere in the US, even in sporting goods stores. For all of you made-in-the-USA fanatics out there (I'm one of them), remember that despite Thule saying they are a Swedish company, most of their stuff you see on the shelves was made here in the US. Yakima's stuff is made in Mexico and the company is supposedly owned by a Middle Eastern bank, which is why I didn't even mention them here. It's too bad because I like Yakima's racks, and a lot of their old designs are still good, but the company just isn't what it used to be, and most of their engineers went to work for Thule anyway. Trac Rac is like Thule's rack. They say it is "removable," but it is no more removable than Thule's rack. They simply mean that it is clamped on. OK, so it may be a little easier to remove than the Thule rack. But let's face it, if you use a rack a lot, how often are you removing it? These racks in my opinion are too expensive, which is why I won't go into too many details about them. I think they offer an option for the extension out over the cab as an add-on, which only bumps the price up even more. You have to price the rails and the rack, which together is about $800. You're paying for the aluminum and the whole removable feature. But like I said, how many truck owners that need a rack would really use that? The new Tacomas are great trucks, and I don't think Toyota has any plans on discontinuing the use of the plastic/composite bed. So if you're considering buying one of these trucks and you need a lumber rack, keep this information in mind. Don't listen to the truck dealer. No offense, but they usually have no clue when it comes to accessories. 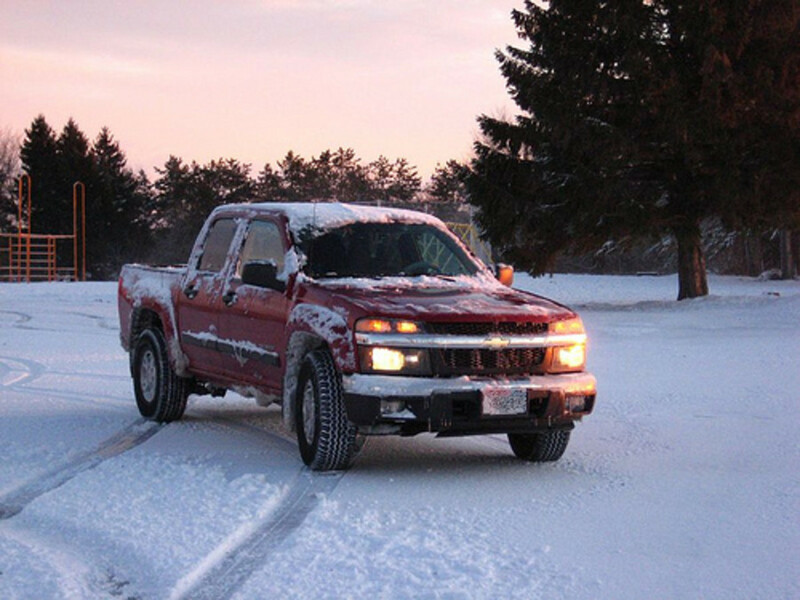 Especially with the Tacoma, these dealers will tell the customer how great it is that they don't have to buy a plastic bed liner or shell out more cash for a spray-in liner, but fail to mention how it affects the installation of certain accessories. 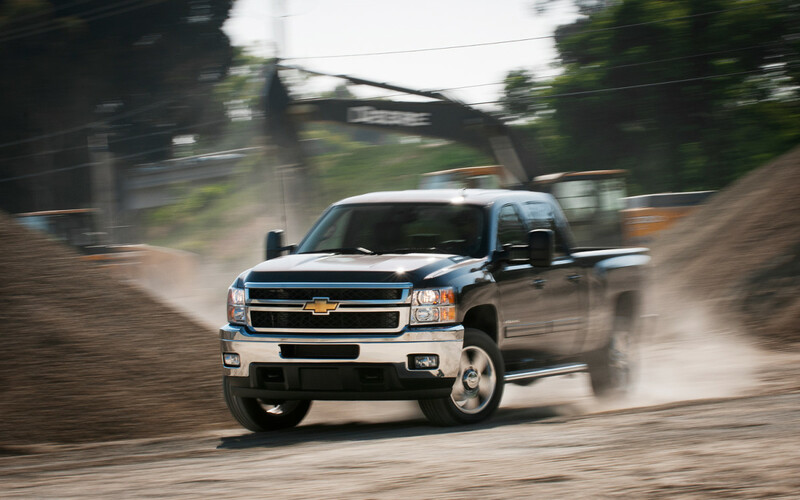 It always pays to compare the truck dealer's price for an accessory to an aftermarket dealer's price. 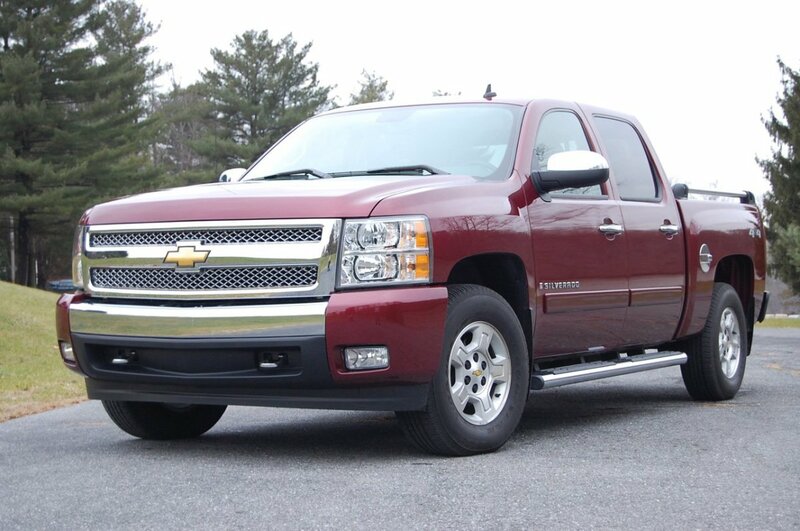 Of course, the truck dealer will almost always have the higher price. Sometimes they are the same stuff, just branded different. And when it comes to accessories like lumber racks and tool boxes, most salespeople at truck dealers won't have a clue, and try to sell you crap products. @johnnywongc4@gmail.com -good to know. I rarely sell that rack because it's almost as much as a full lumber rack so most tend to go that route, but I appreciate the insight on that. The Thule rack is really not height adjustable because when you try to lower it, the legs of the uprights hit the sides of the composite bed (walls of the bed are tapered for removal from the mold during manufacturing). @zgooding -if you can get a bolt-together version, yes, they're good, some are not so good, just make sure it's a solid mounting system. I know TracRac makes a rack for the Tacoma, it's a little pricey. I'm located over here in Columbus, OH and was wondering if you might know where I could get a rack like the Rack-It one here. I'll be using my 2018 Tacoma as a work vehicle, and I do the occasional 16' garage door so I'd like the rack to be strong and also extend over the cab. Would the bolt-together version of this rack work? @Craig -I ran into this again with a new Tundra -some of those have the same tracks, and while we were able to keep the tie downs on there, they wouldn't move as the angle iron pressed down on them, so we took the rails off. I never thought about trying to re-install them though, thanks for the info! I'm the person who asked about the side rails for tie downs on 2005 tacoma toyota P.U. I took the rails off the truck for easier fit for the rack. I'm drilling and tapping wholes in the rack to reinstall the original rail/tie downs. I believe there's enough room for a thin nut on the back side as well, not sure at this point. Once the rack is assembled/installed I can report back to how reinstalling the toyota rails worked out. @Craig -good question, it kind of overlaps it, but not completely. I don't think those adjustable tie downs can be re-used though, sadly. I'll have to get a picture of that and post it. Hello Tom, On the Rack-it lumber racks does the mounting angle lap over the track system that the toyota tacoma's come with? To clarify I believe the track is for the adjustable tie downs or for options a person can get for these trucks. @Keith -if you want a full lumber rack, I recommend the Rack-It rack. Having the four door though-they have the smaller bed-means the rack will have the extra rail support in the front part of the bed. This is necessary because the over hang (cantilever) is longer than it would be if the bed were longer. 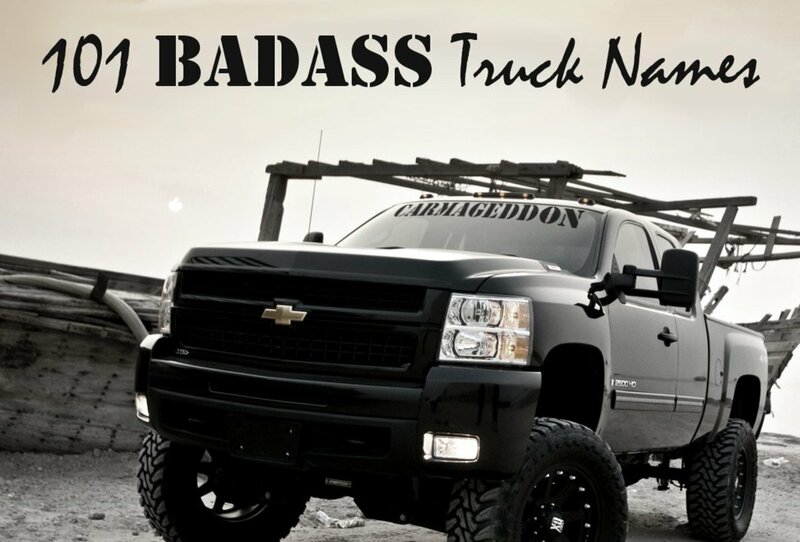 That truck also does not have the composite bed like the newer Tacomas do, so you can put just about anything on there. Try to avoid a bolt together rack, they are not as strong as fully welded racks. 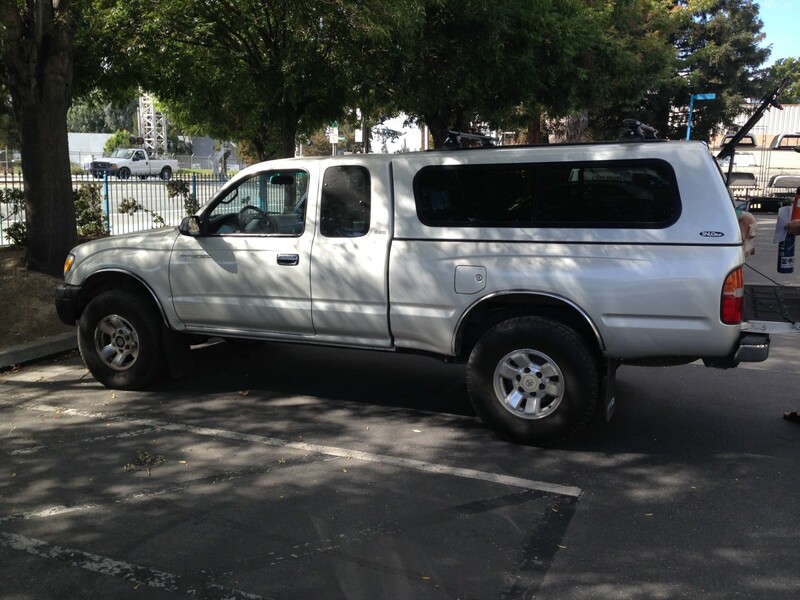 I'm looking for a lumber rack for my Toyota prerunner it's a 2002 4door. @Ruben You should be able to find a Rack-It dealer in San Diego, call them at: 800-445-7666. If you don't want a Rack-It rack, you should be able to find a nice Thule rack that can support up to about 500lbs-but it does not cantilever out over the cab at just about any REI store or bike shop. Hope this helps. Just want to comment to Jim-Yakima and Thule rate any roof rack-and I mean ANY roof rack at only 165lbs-pretty much a standard rating. 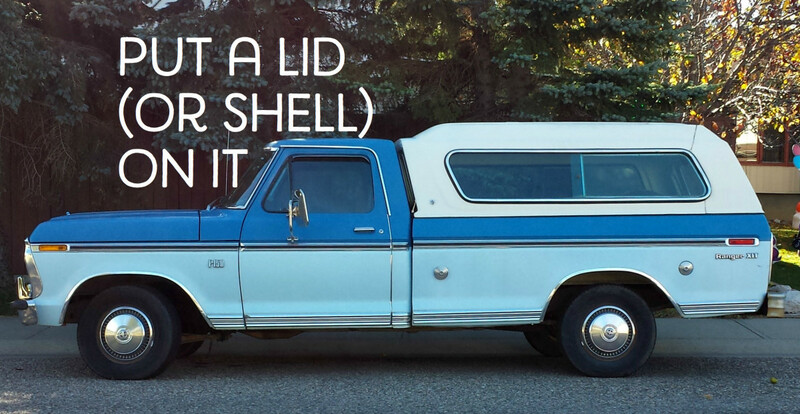 Now, on a shell, it sort of depends on the rack and the roof of the shell. Snugtop shells have a nice thick honeycomb roof-much thicker than a Leer or ARE, etc. You can even get their commercial type with a contractor rack on it rated at 500lbs-which they make the fiberglass even thicker. Or, you could get a top like a Workmaster or Tradesman-totally commercial top, with a nice heavy duty rack on it that at the least would be good for about 500 lbs. Hope this helps, and feel free to ask any more questions. thanks for the tip, am on east coast and will look around.